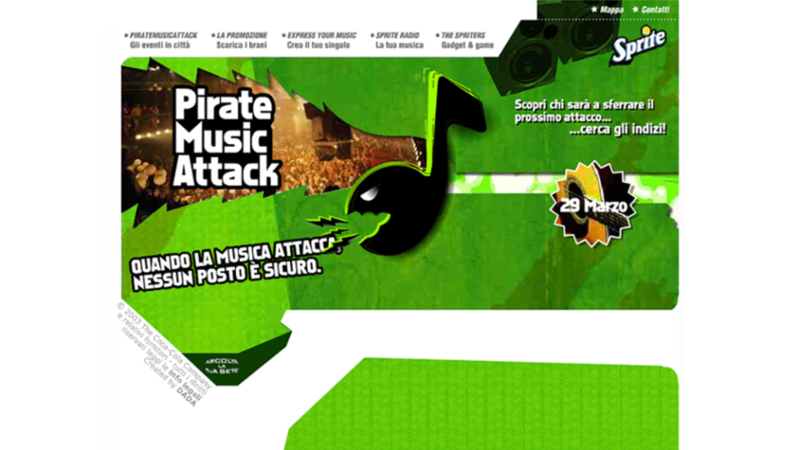 Sprite Pirate Music attack was a Flash website promoting a series of summer concerts around Italy, organised by Sprite (The Coca-Cola Company). I did the Actionscript programming, created additional graphics for daily updates and made several optimisation passes. The project was commissioned to the Florence-based graphic design studio Kmzero.